Unwind in comfort with the inviting and elegant design of the Flannel Seal 3 Piece Sectional with Corner Wedge by American Furniture Manufacturing. 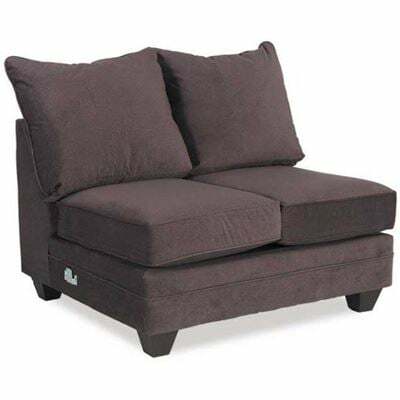 Flannel Seal 3 Piece Sectional with Corner Wedge from American Furniture Manufacturing. 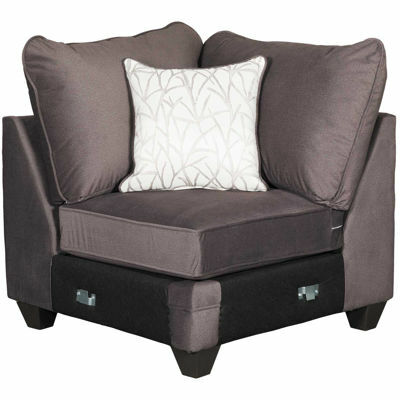 Includes 3 accent pillows in Cosmopolitan Birch accent cover. Sectional sofa includes 1 corner wedge, 1 left arm facing loveseat, and 1 right arm facing loveseat.